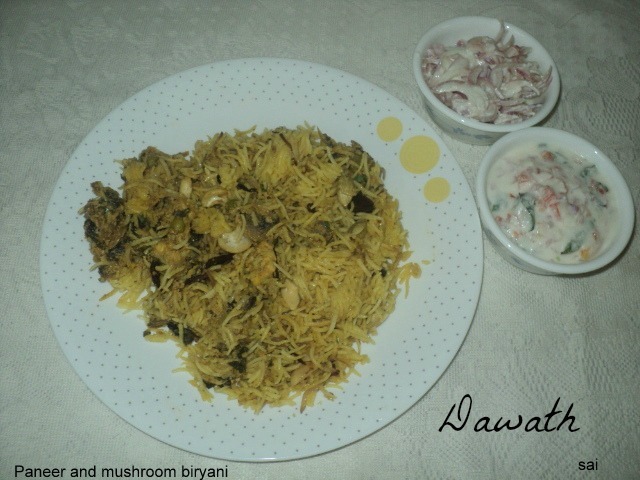 Paneer and mushroom biryani is a rich biryani with nuts and spices which tastes truly awesome.I had prepared this biryani sometime back much before I started blogging,had few pictures and thought of sharing it with you’ll. Paneer is cottage cheese which is rich in protein and most of them enjoy.You may prepare this biryani only with paneer or mushroom or even with mixed veggies. Soak the rice for 20 minutes and drain it . Heat ghee in a cooker and fry the whole garam masala,add onions and fry for sometime. 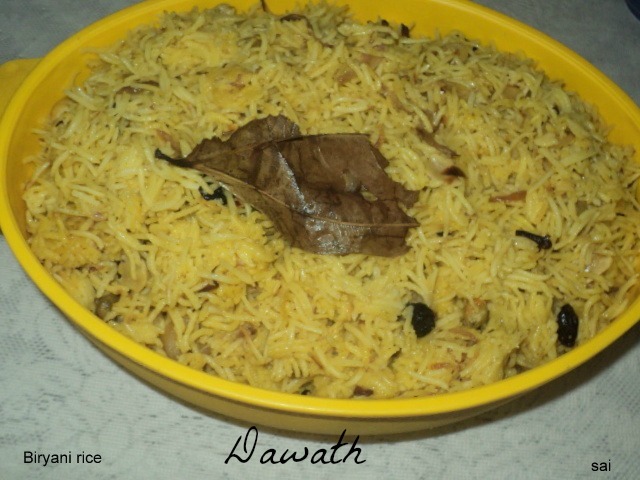 Add soaked rice,dry fruits,yellow food color,salt to taste and water. Close the lid and take exactly one whistle and off the flame. Once the pressure releases open the lid and spread the rice in a plate. Heat ghee in a vessel and fry onions until pink in color. Add all the powders one by one and fry for few seconds. Add pureed tomato ,coriander leaves,mint leaves,green chillies,salt and sugar to taste. 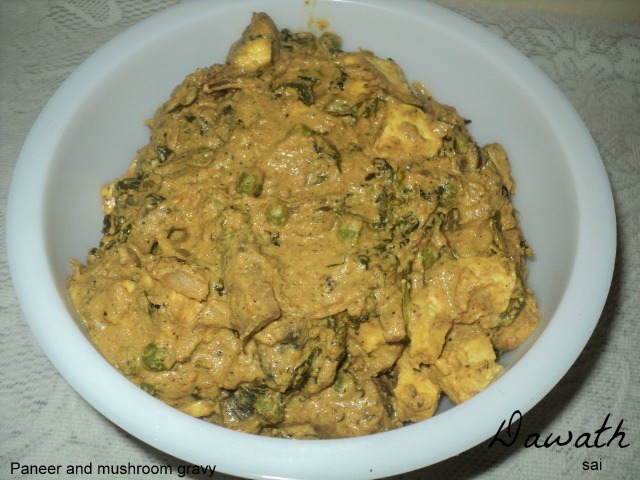 Add curds,chopped mushrooms,green peas and cook until it gets cooked. Lastly add paneer,almond paste and cook for few more minutes. Take a big borosil bowl,first add a layer of rice,add few chopped coriander and mint leaves,followed by gravy. Repeat the procedure where the final top layer should be rice,garnish with coriander leaves and mint leaves. Cover it with cling film and micro for 5-6 minutes. Serve it hot with raita. You may also add fried onions.